The other week, I was lucky to be able to attend Christopher Hobbs' plant walk and talk on "An Integrative Approach to Pain and Inflammation" at Mass Audubon's Habitat Education Center and Wildlife Sanctuary in Belmont, sponsored by Rainbow Light. Christopher Hobbs is "a licensed acupuncturist and 4th generation herbalist and botanist with over 30 years of experience with herbs." In addition, he is the "director of formulation" of all Rainbow Light products, and has written numerous books on herbs and health. Here, I will recap some of the points that Christopher Hobbs made in his plant walk and talk. I think the food-loving side of me caused me to take more notes on the culinary herbs, so you should be familiar with many of them! 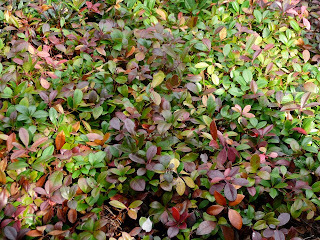 We first came across a patch of wintergreen, the leaves of which can be used for tea. 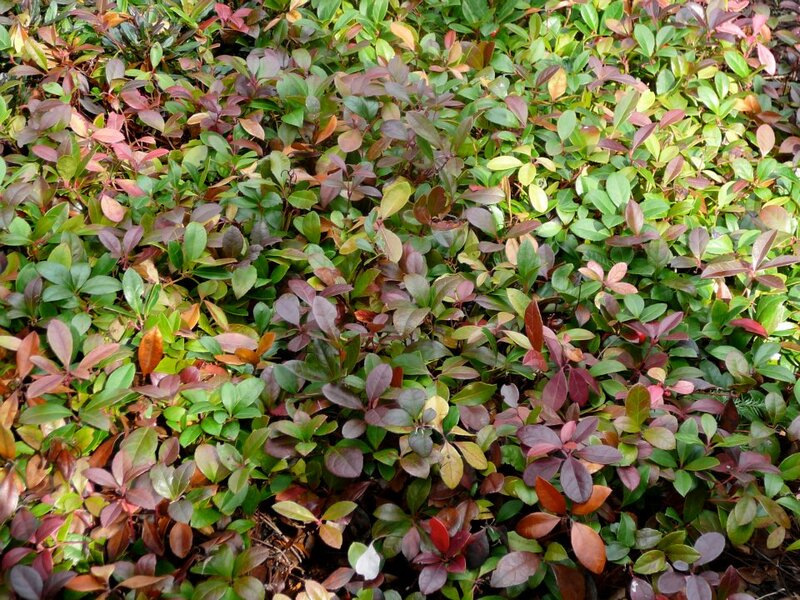 Wintergreen is easy to grow in the shade, and wintergreen essential oil can be applied externally to help relieve pain, arthritis, and more. When using plants for healing, it can be important to know where the plant is from and the environmental conditions that it grew in, because the concentration of compounds in a plant and the scents they emit can vary greatly, according to environmental threats, the quality of the soil, and more. Christopher Hobbs recommends using fresh herbs whenever possible. 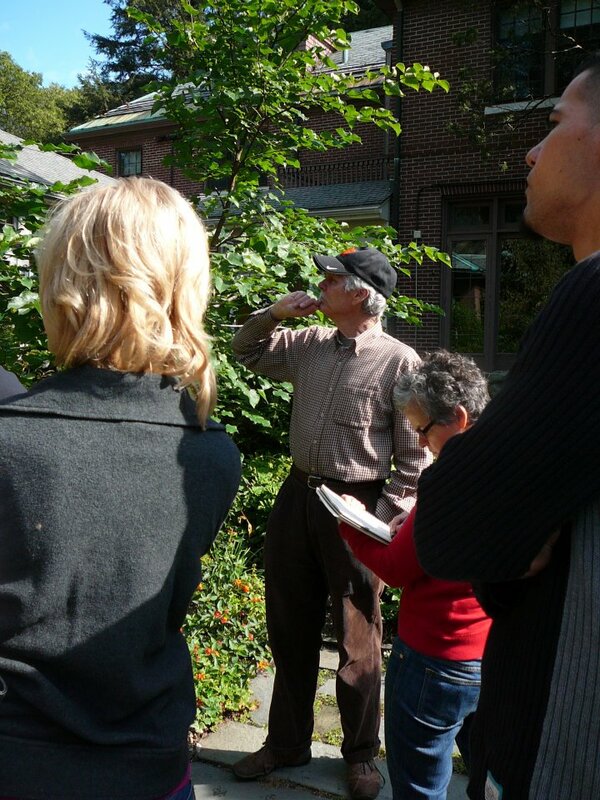 Ideally, one would have some garden space, such as in a backyard or a community garden plot. If you don't have access to a plot of land, you can also grow plants on your windowsill. Don't have a green thumb? There are still fresh herbs in the supermarkets if need be! Next, Christopher Hobbs gave several cooking tips. He recommends adding fresh herbs at the end of cooking, so that the volatile oils, often which have protective compounds, don't evaporate off. In addition, when cooking with garlic, it is advised to crush the garlic well first, let the garlic sit for at least 2-3 minutes before use, and add it to the cooking food shortly before serving. Crushing the garlic and allowing the garlic to sit for a few minutes before use is needed for allicin to break down, the compound in garlic that offers many health benefits. Christopher Hobbs is a particular fan of the Zyliss Garlic Press, which he says releases many of the garlic's juices (to release the allicin, just chopping the garlic won't work. Crushing or pressing the garlic is required as well). The herb thyme has a variety of uses. Thyme has antiseptic, antispasmodic, and expectorant effects, and is taken for various ailments such as whopping cough, bronchitis, coughs, and sore throats. It also contains thymol, a broad spectrum antibiotic. 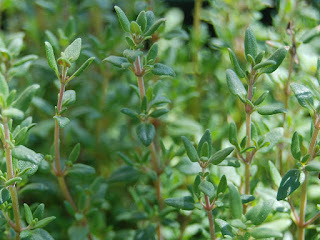 Thyme can be served as a tea, and is also used in other forms. 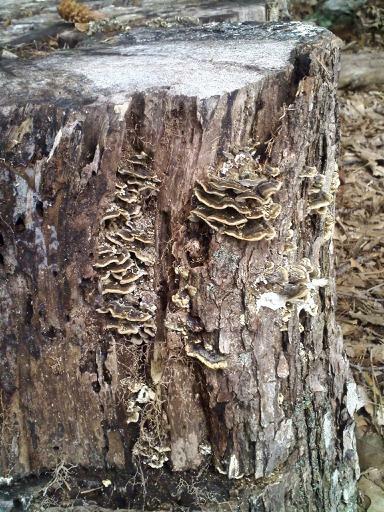 We looked at several mushrooms species, as well. The turkey tail mushroom has a long history of medicinal use, and much scientific research to support its use. The turkey tail mushroom has been found to be helpful against cancer. Some identifying factors include "zones" on the top of the mushroom and a pore-like surface on the underside of the mushroom. The turkey tail mushroom also grows in shelf-like structures. However, be cautious if you are mushroom hunting- it can be easy to accidentally identify a poisonous mushroom as a safe one if you are not experienced! Learn more about mushrooms in Christopher Hobbs' book, Medicinal Mushrooms. In addition, Chinese medicine offers a wealth of information on herbs. For those interested in learning more about Chinese medicine, Christopher Hobbs recommends the book The Web That has No Weaver: Understanding Chinese Medicine by Ted Kaptchuk. And to purchase chemical-free and high quality Chinese herbs, check out Asia Natural Products based in San Francisco, California. Finally, Christopher Hobbs finished off the day with a presentation on additional herbs and discussion of how herbs are integrated into Rainbow Light's products, which are 100% food-based supplements. It was an informative morning and I am glad I was able to attend. To learn more about herbs and health from Christopher Hobbs, visit his website.